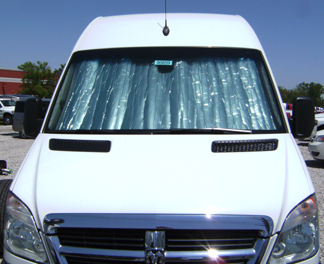 Custom made and fitted to your 2014 - 2019 Ford Transit Connect Van or Wagon, our sunshade keeps your vehicle cooler and protects your interior from harmful UV rays. Rolls up and stores easily. Sunshade has sewn in binding and velcro strap. Made in USA.